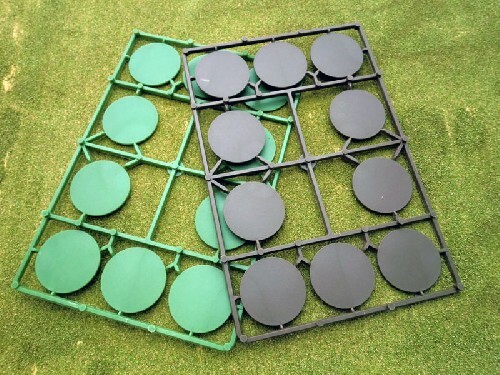 10 round plastic bases, 40mm diameter. We supply only green ones. Very popular right now for basing warlord figures on for the game Saga.